Finding a hair stylist that’s perfect for you can be frustrating and difficult. 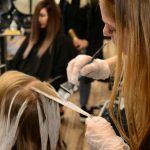 Whether you had to move away from the stylist you’ve been seeing FOREVER and have to start over, or you’ve had a bad experience and need to see someone new, the hunt for the perfect hair stylist can be a long one. A lot of the process might feel like trial and error, but it’s so worth it in the end. 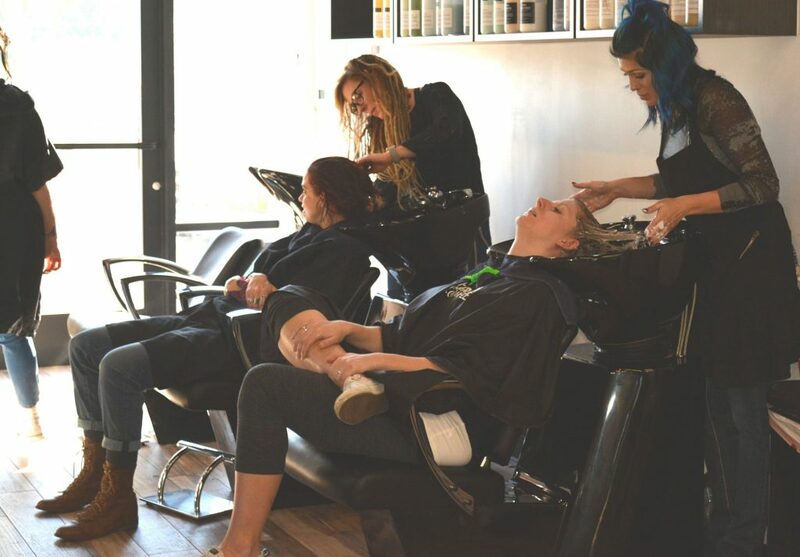 It’s a daily occurrence for the TouchUps Salon team to hear from people that are looking for a new salon or hair stylist, and we know that the stress of not having someone to take care of your hair is real. 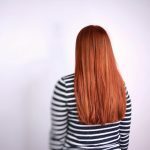 For the good of your hair, and the good of people looking for stylists everywhere, here are some tips to help you on your quest for great hair! Get the Details on Your Current Look. 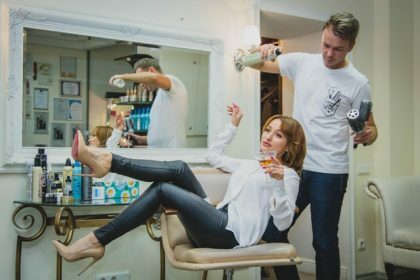 If you love the look that you have right now and you have a good relationship with your stylist, see if you can get the details on what they did! 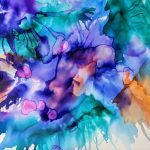 Most stylists would be happy to write down the color formulas that they used for you, and you can give them to your new stylist. 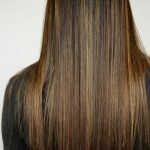 No matter what color line a salon uses, a stylist will almost ALWAYS be able to recreate a color for you. Platforms like Instagram, Facebook, Pinterest, and Yelp have revolutionized the way we live in a lot of ways, and finding referrals is definitely one of them! In seconds you can reach out to hundreds of people in your area and ask about their preferences and recommendations. Generally, if someone really loves their hairstylist, they’ll refer you immediately! I cannot stress this enough: PLEASE book a consultation before your color appointment when you’re seeing a hair stylist for the first time. A consultation will give you and your stylist time to get to know each other as well as chat all about your hair! 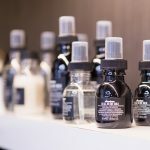 You should mention your color history, how you style your hair every day, and what products you use to help your stylist know what your preferences are. Pictures, pictures, pictures! Bringing pictures of both what you want AND what you don’t want will help keep you and your hair stylist on the same page. You may also want to bring pictures of your hair after a color and cut that you loved to help your stylist get a feel for your style! Also, it’s a good idea to point out exactly what you like about the look to give the stylist a detailed idea of what you’re comfortable with. Finding a great stylist isn’t all about their expertise; it’s also about the way you get along! If you don’t feel comfortable speaking up, or you feel like your stylist is not going to listen to your ideas, you’re likely not going to have a great experience. (This is how you end up walking out of the salon with something that’s the opposite of what you wanted.) In other words, be honest with your hair stylist at all times. If the stylist is not receptive to your ideas, you’re in the wrong chair. 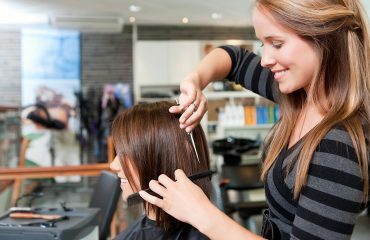 Does Your Hair Stylist Act Professionally? If your stylist is showing up 15 minutes AFTER your appointment time, you’re probably not in the right place. Nothing is more frustrating then booking an appointment with a professional and then getting treated like you don’t matter to them as a client. 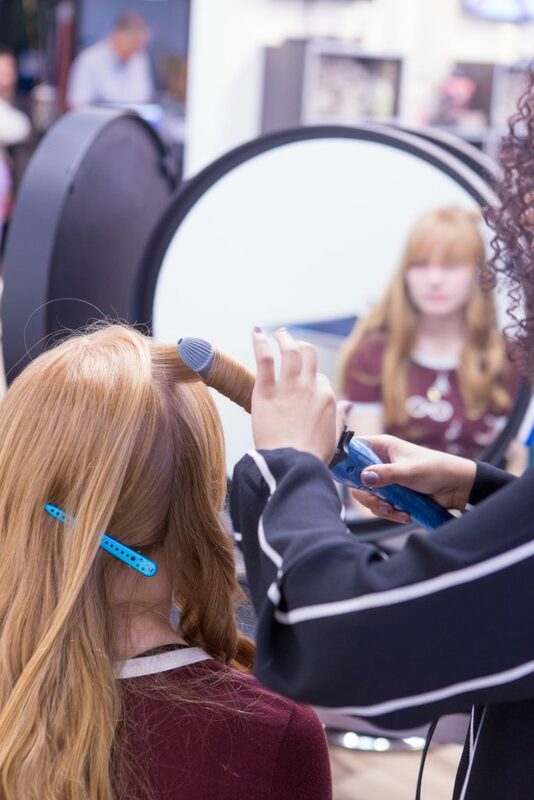 In addition to your stylist being extremely supportive of your ideas, your stylist should be on time, treat you with respect and kindness, give you accurate price estimates, and take their time on your hair. Sometimes things happen that are out of your stylist’s control that cause them to run late with other clients or have scheduling issues, and if they treat you right, I would hope that you’d be patient with them and treat them with respect as well. 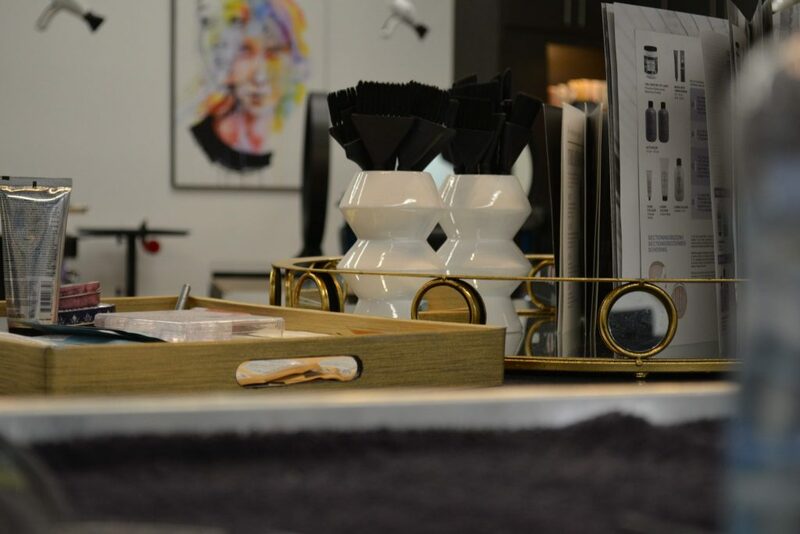 Is Your Hair Stylist Knowledgeable? Your stylist should have a great understanding of the color lines they use and be able to use them to give you your perfect look. Additionally, they should be able to tell you what colors will go well with your skin, how often you should be scheduling appointments based on your hair goals, what cuts would look great with your face shape, what products you should be using, and help you style your hair the way YOU like it! A good hair stylist genuinely cares for their clients, and wants to share their ideas with them! It is your stylist’s job to help you look your best, and you should feel comfortable trusting their judgement as much as they’re comfortable following your lead. So, in conclusion, choosing a hair stylist is all about where you feel comfortable, and finding someone with a personality you get along well with. After all, you are going to be hanging out with your hair stylist for at least an hour every time you see them! 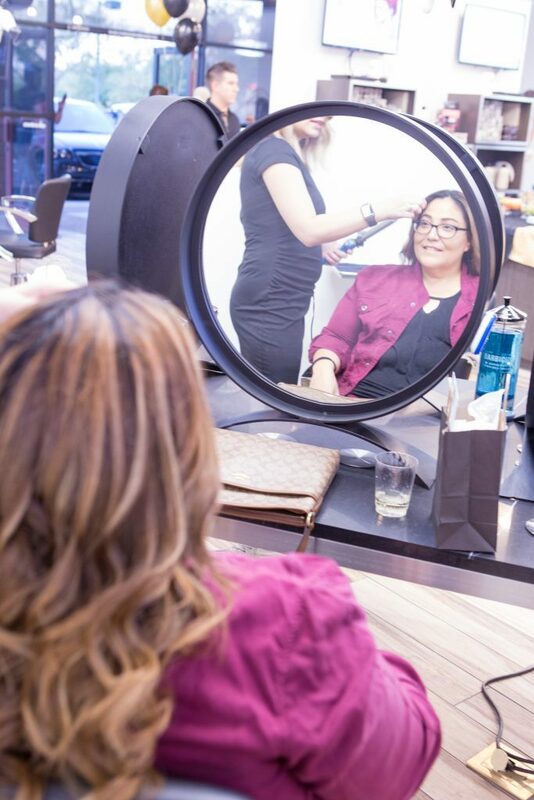 To choose the perfect hair stylist for you, ask for recommendations, use social media, schedule a consult with a stylist you’re interested in and bring photos, don’t see someone who doesn’t show professionalism, and make sure their knowledge meets your needs! Thanks for reading this edition of the TouchUps Beauty Blog, and we’ll catch you later!!! Check out our social media, and subscribe to our newsletter to #JoinTheBeautyRevolution! (You’ll get $20 off your first appointment for subscribing to our newsletter, by the way! *wink*) If you’re ever in the Chandler, Arizona area, come by and see us! We would love to meet you and help you with all of your hair needs. ‘Til next time!